Previously aired webinar on June 14, 2016. 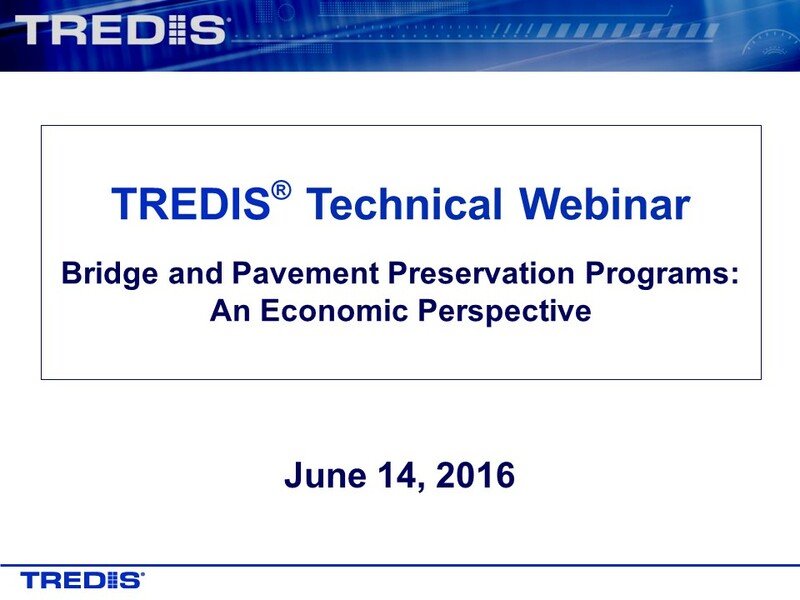 This technical webinar will demonstrate how new and existing subscribers can use TREDIS to model bridge and pavement preservation projects and programs. * How do you communicate the value of investing in preservation from an economic perspective? * How does TREDIS use outputs from your asset management systems to determine why preservation is important? * Depending on your requirements and assumptions, are additional data inputs required in order to run the model? * How can you use custom modes to model preservation projects in TREDIS?